This will be another surprise to regular readers of this site as this is easily considered a pop band but by no means does that mean this is the vast majority pop music-this is some real good music. This band has matured into a fantastic sounding band and they have grown so much there is so much depth here with some great songs like "Honestly"
The last song on the album was actually on their "Still Waters" the song is "Bad Karma" but this is a fantastic song so it is a welcome addition in my view. Matt and Andrew Como are songwriters and musicians that value organic music, musicianship, and songs with original integrity. Music is not a hobby of the brothers but a way of life and a career. Early in life, their father and his brothers would play at family parties. Growing up in this environment inspired them to play music, and it fast became a central part of their lives. They extensively played live throughout high school and college and are now an experienced live act having played in countless bars, major festivals and local shows. 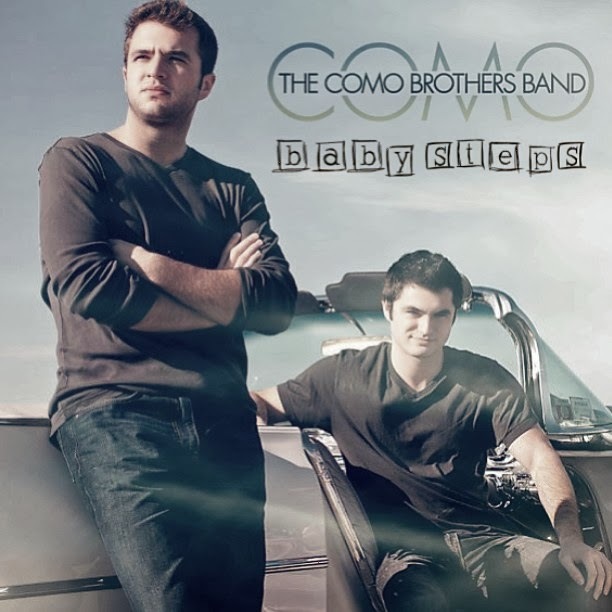 In 2010 they officially began the rock band The Como Brothers Band and have been pushing forward for their dreams of a long term career in music. In 2013, the Como Brothers Band took their previous experience and focused on approaching the industry with honest songs. It worked. They opened for major acts such as The Wallflowers, American Idol winner David Cook and Jilian Jensen, and also played at a multitude of festivals including the Hard Rock Rising 2013 finals at the Hard Rock Cafe, the Make Music NYC Festival, the Montauk Music Festival, Six Flags Great Escape and the Long Island Music Festival. Their music has been featured on MTV's Real World Portland, E! Network's Keeping Up With The Kardashians, and Oxygen Channel's Best Inked. Radio has responded well, too, with features on CBS's "Tomorrow's Hits Today" as well as New Driven Radio, Indie Underground, and Revolver Underground playlist additions. Currently, the band is promoting their new full-length CD "Baby Steps", which was recorded at VuDu Studios. 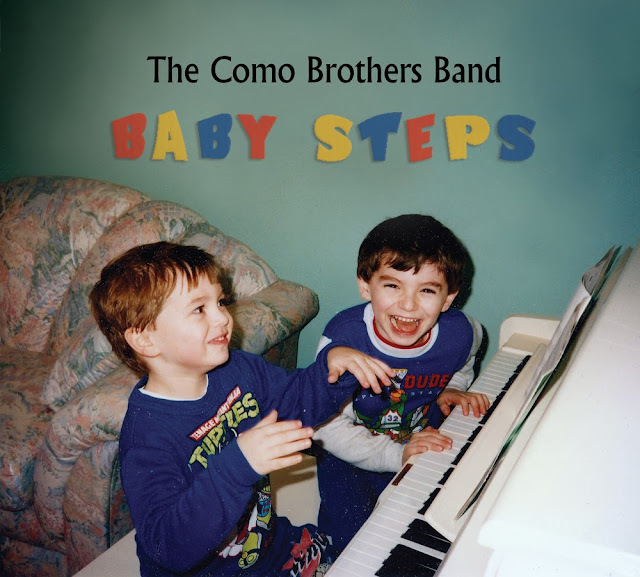 Under The Gun Review said of the album "pretty much the whole of Baby Steps is catchy as hell", while IX Daily said "The Como Brothers Band excel on their debut". "Chasing Ambiance" is a great mood song, slowing things down a nice addition to already great album. Keep checking back here soon as for the band will be shooting a small concert exclusive for this site and I will also will be interviewing them via web cam. This band also will be my first "Band of the Month" as well, so keep it tuned here for more special things to be happening soon all with the intent of helping the artists that might be needing that extra bit of help. Below is link where you can support this band by downloading their album or a song or two-both of the songs/videos shared here are on the album so go and support some talent now.